When a couple files for divorce in Singapore, the law requires the husband to provide his ex-wife with maintenance towards her living after the divorce. This is a provision under the Women’s Charter. Under this provision, the husband is required to pay wife maintenance during the interim of the divorce proceedings, during and after the granting of the judgement, legal separation and nullity of the marriage. There are, of course, various factors that the court will consider in its assessment to ensure that judgement on the financial support that payable the ex-wife is a fair and equitable amount with regards to her needs and the husband’s financial capability. The Court’s first point of deliberation will be the commitments and obligations that the former wife has to financially incur in the maintenance of her home and children, if any. This is to ensure that the family’s standard of living after the divorce is not adversely affected. The Court will nonetheless decide if the ex-wife’s claims are reasonable. In cases where the wife is in a stronger financial position than the husband, the court may then be disinclined to order the husband to pay maintenance. The Court will also deliberate on the former husband’s ability to undertake the claims and demands of his former wife, which includes the earnings, income capacity, estate and other financial means/assets. Should the ex-husband not be able to match the ex-wife’s demands, the Court will then order a reduced sum of maintenance. These considerations will also affect if the court orders a lump sum payment or for the husband to pay the alimony in monthly payments. In cases where the husband refuses to pay the maintenance or defaults in his payments, the former wife can sue her ex-husband for the sum of the maintenance. 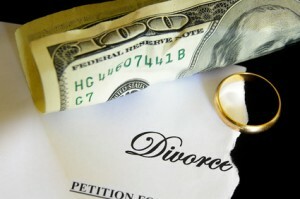 However, wife maintenance is found and based upon the ex-wife being unmarried after their divorce. Should she remarry, the ex-husband is then alleviated of his obligations to pay maintenance. If the ex-husband either refuses or neglects to pay the ordered maintenance, the ex-wife can engage a lawyer to apply to the Family Court to enforce the order. The Court allows for the recovery of defaulted payments up to a period of 3 years. Any arrears beyond the 3 years are not able to be recovered. Should the ex-husband default in his payments, the court can either impose a fine or sentence him to imprisonment for not more than a month for each month that he has defaulted. In cases where the former husband habitually defaults on his payments, the court may order his employer to pay the maintenance amount which will be deducted from his monthly salary. The ex-wife’s lawyer should obtain an updated record of the ex-husband’s arrears in payment as well as information of his employer and furnish it to the court so as to expedite matters. There are, however, women who do not wish to sue for maintenance during the divorce settlement, but would prefer to reserve the rights to maintenance. This is known as nominal maintenance and what it means is that the wife can, at any time after, claim change in maintenance should she experience a negative change in her financial circumstances. The court will make a decision whether to award the nominal maintenance should the husband object to the wife’s request for nominal maintenance.